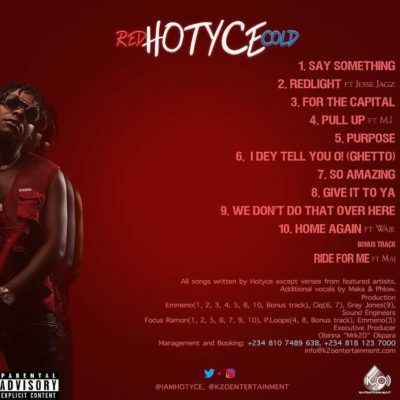 In his quest to bringing Nigerian HIP-HOP Music back to the spotlight, K2O Entertainment’s Frontline act known as HOTYCE finally releases his debut album, after years of relentless effort and singles with top class videos. 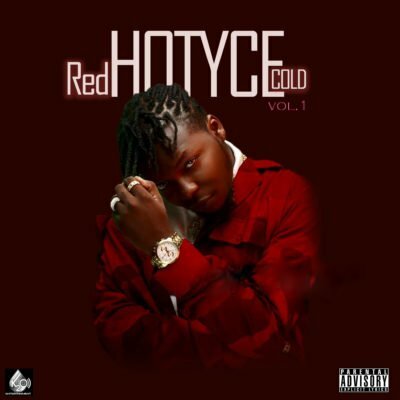 The Rapper drops his much anticipated project “RedHOTYCEcold” vol 1 to round what has been an amazing year off. 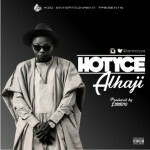 The University of Abuja Graduate’s burgeoning career as one of Nigeria’s hip hop finest,is set for a huge surge, by the time this masterpiece finds it way into listening ears. 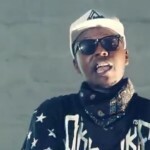 The release of this project marks the start of a new era for Nigerian Hiphop. 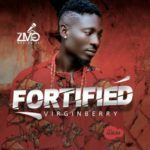 The album features Music Greats like MI ABAGA, WAJE, JESSE JAGZ and fast rising Pop Singer MAJ. 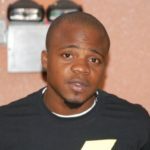 The ALBUM was Produced by EMMENO, GRAY JONES and CIQ. Mixed and Mastered by FOCUS RAMON, P.LOOPS and EMMENO. 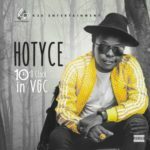 for more info on the album you can check his Social media handles ..facebook @hotyce, instagram/twitter iamhotyce. 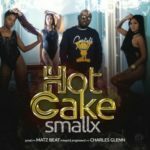 click on the link below to listen and download the album .